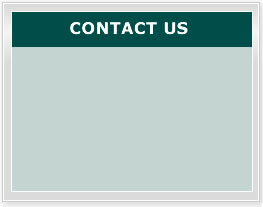 We perform a number of ophthalmic surgical procedures on children including cataracts, chalazions, lesion removal, and tear duct probing. However our most common peaditric procedure is squint correction (Strabismus). A squint is a condition where the eyes do not look together in the same direction. Whilst one eye looks forward to focus on and object the other eye turns either inwards, outwards, upwards or downwards. Squints are common and affect about 1 in 20 children. Most develop at some time in the first three years of life. Some develop in older children and adults. A child with a squint may stop using the affected eye to see with, this can lead to a visual loss which can become permanent unless treated in early childhood. As a rule the younger the child is treated the quicker the improvement in vision is likely to be. The movement of each eye is controlled by muscles that pull the eye in specific directions. A squint develops when the eye muscles do not work in a balanced way and the eyes do not move together correctly. 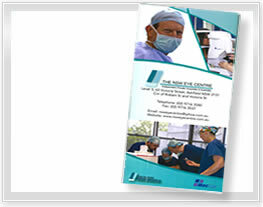 In many cases an operation is advised to make the eyes as straight as possible. The exact operation depends on the type and severity of the squint. 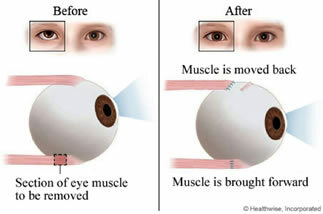 It may involve moving the place where the muscle attached to the eyeball or one of the muscles that moves the eye may be shortened. Sometimes a combination of these two techniques can be used. Paediatric squint surgery is normally performed under a general anesthetist. A visit to hospital can be frightening for a person of any age, but especially children. We aim to work closely with parents to ensure your child is as comfortable and calm as possible throughout the surgery process. To help ease any stress for both parent and child you will be able to stay with your child until they are asleep (have an anaesthetic) before their surgery. You will also be able to be with them in recovery after the operation.